Looking for great dining options during your stay? The Oxford Suites Silverdale is equipped to handle your dining needs and is conveniently located. Check out our restaurant! Start the day off right with our complimentary full hot breakfast buffet! Join us on weekdays from 6:00 am to 9:00 am or on weekends and holidays from 7:00 am to 10:00 am for an array of breakfast bites, including made-to-order eggs. At check-in, every guest receives a breakfast coupon. Please be sure to bring the coupon with you to breakfast. Our complimentary evening reception is offered nightly from 5:00 pm to 9:30 pm and includes your choice of wine, beer or soft drinks. Appetizers are served 5:00 pm to 7:30 pm. Each guest will receive two drink tickets, with additional drinks available for purchase at the lounge. 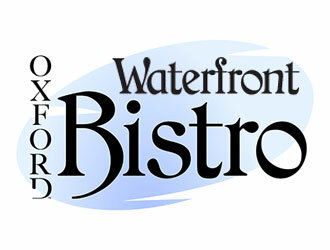 The Waterfront Bistro, overlooking the bay, is our on-site restaurant and lounge serving dinner nightly from 5:00 pm until 10:00 pm. Come join us for Happy Hour Specials Monday through Saturday, 5:00 pm - 6:30 pm, and all evening on Sundays. Room Service is available nightly from 5:00 pm until 9:30 pm. Our Place Pub & Eatery, Inc.